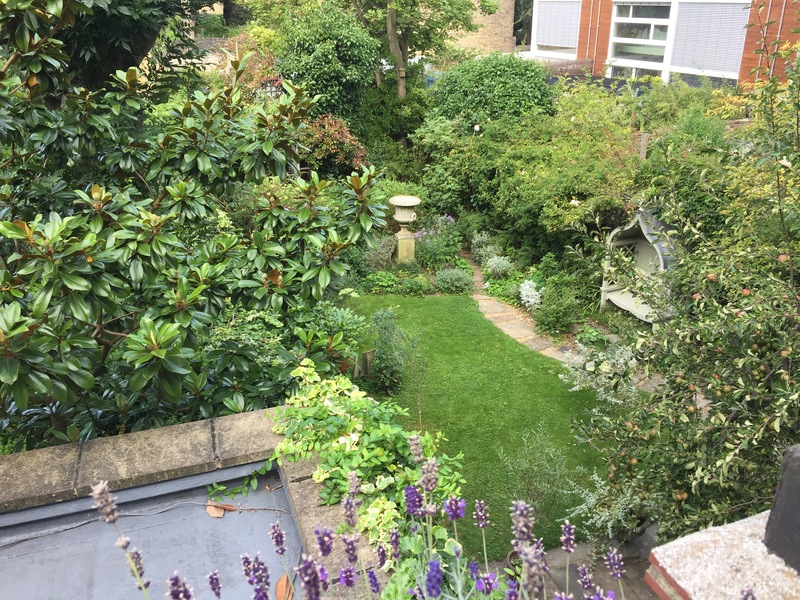 View from a friend’s flat into a London garden. agree love dog tails !!! i have only had king charles spaniels which according to law can go anywhere they want !!!! was rarther nervous about trying this out but once i happened to be with her in a church type hall few people not happy but i just wen t ” she is a king charles so i take her where ever she wants !!!! !